Congratulations to tour winners Mary P., Karla R. and Shirley, as well as to host winner Mello and June, It's a Book Thang! 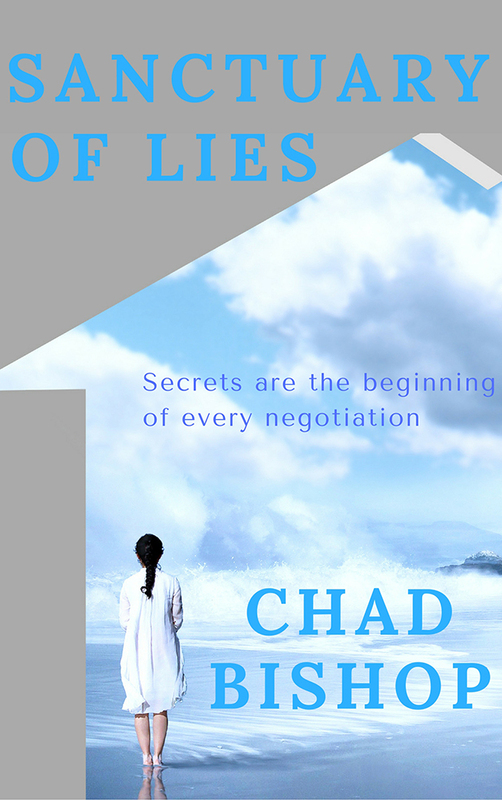 Goddess Fish Promotions is organizing a Virtual Excerpt Tour for Sanctuary of Lies by Chad Bishop, a Domestic Thriller available November 23, 2017. The tour will run November 13 - 24, 2017, and this tour will not include interviews or guest blogs; however, a blurb, exclusive excerpt and author bio will be provided to every host for inclusion on their blog. If you would like to review this book, please see the Reviews Only Tour, Here. Chad will be awarding a $10 Amazon GC to 3 randomly drawn winners via rafflecopter during the tour, and a $25 Amazon GC to a randomly drawn host. ISABELLA NUNEZ owns a computer firm in Brooklyn with her lover JACOB COSTA. Accepting her infertility they have a blue nose pit bull called Justice as their “child” and live simple lives as techy nerds. Isabella’s idyllic life is shattered when several days after her lover’s ex-wife, SIMONE JOHNS, reported death, sends Jacob an email to come save their child, he didn’t know they had. November 22: Mello and June, It's a Book Thang! I can host on November 17 on Sharing Links and Wisdom. I can host on November 22.